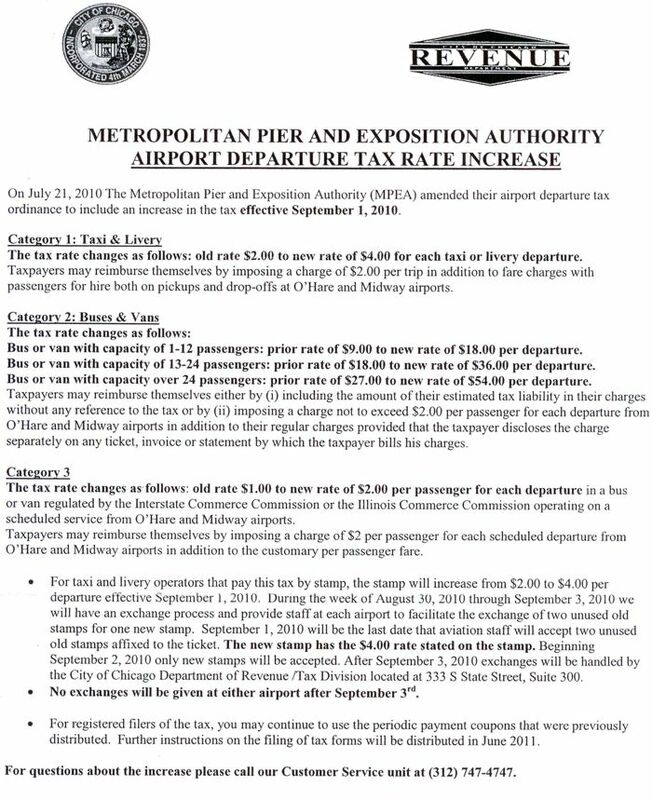 Effective September 1st 2010, Metropolitan Pier and Exposition Authority (Chicago of Chicago, Department of Revenue) has amenden airport tax ordinance to increase in the airport tax. Livery tax is paid by our drivers at O'hare and Midway airport. 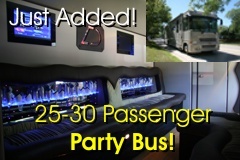 Public transportation tax for limos bigger than 10-passenger is paid annualy. Below is the Airport Tax/STC charges that will be added to every airport run. Please see the PDF copy of the letter sent to all limousine companies doing business in the City of Chicago.